This is the first time that Mercedes-Benz will be introducing an estate wagon in the Indian market, but the car has been on sale in the global markets for over a year now. 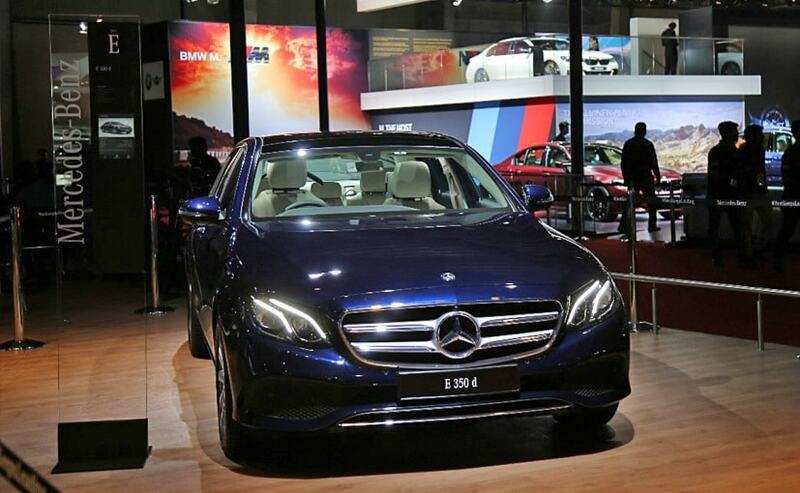 Mercedes-Benz E-Class All-Terrain Estate has finally made its India debut at the ongoing Auto Expo 2018. The crossover model of the E-Class estate wagon, the new model will be launched in India later this year and rival the likes of Volvo V90 Cross Country. This is the first time that Mercedes-Benz will be introducing an estate wagon in the Indian market, but the car has been on sale in the global markets for over a year now. The new E-Class All Terrain combines the comfort of an Estate and the abilities of an SUV thanks to the generous ground clearance, SUV like large wheels and 4MATIC all-wheel drive, all of which comes as a standard offering. The new Mercedes-Benz E-Class All-Terrain estate wagon, which has been badged as E 220 d, will be powered by a 2.0-litre turbo diesel engine that is capable of making 191bhp and develops 400Nm of torque. The motor will be paired with a 9-speed automatic transmission and is powerful enough to propel this big wagon crossover from 0 to 100 km/h in a little over 8-seconds before hitting a top speed of 232 kmph. Now, essentially the new Mercedes-Benz E-Class All-Terrain is the regular E-Class Estate under the skin. 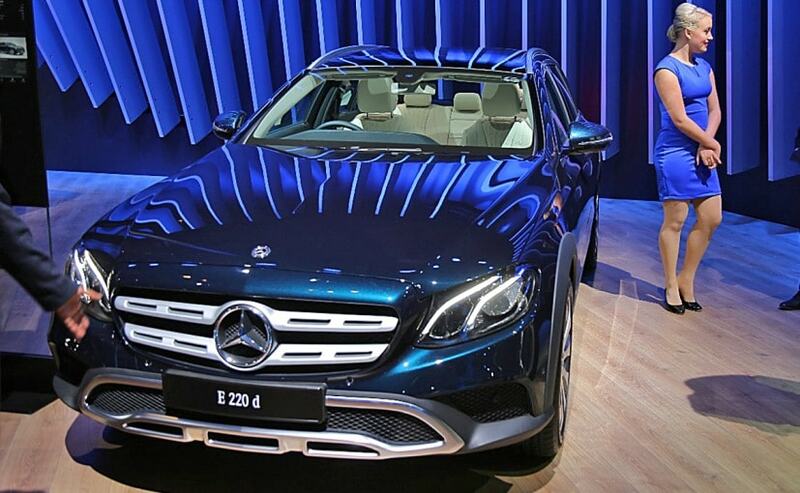 Visually, the car is inspired by the new-gen the new-gen E-Class sedan and gets similar styling. Up front, the car gets large twin chrome slats on the honeycomb pattern grille with Mercedes' three-pointed-star at the centre. The grille is flanked by the carmaker signature LED MultiBeam headlamps couples with eyebrow-like LED daytime running lights. The new E-Class All-Terrain also gets a new front bumper with a wide central air dam and three horizontal air intakes below it and a skid plate. The car also gets underbody cladding that runs along the bumpers, wheel arches and side, while the rear comes with new bumper, rear diffuser and skid plate. The model also comes with the option of three different sets of alloy wheels in 19-inch and 20-inch sizes. The cabin, on the other hand, is similar to the sedan model, especially the dashboard. It also gets a well-appointed cabin with smart leather interior and the company's COMAND system with a 12.3-inch infotainment screen.